Gabr partnered with Elyxor with little more than a good idea and a small seed investment. The idea was simple: create an app that based on short phone calls, private photo sharing, and messaging. From the user research we conducted, it was clear that an 18-24 year old age range would be the primary demographic for the application. 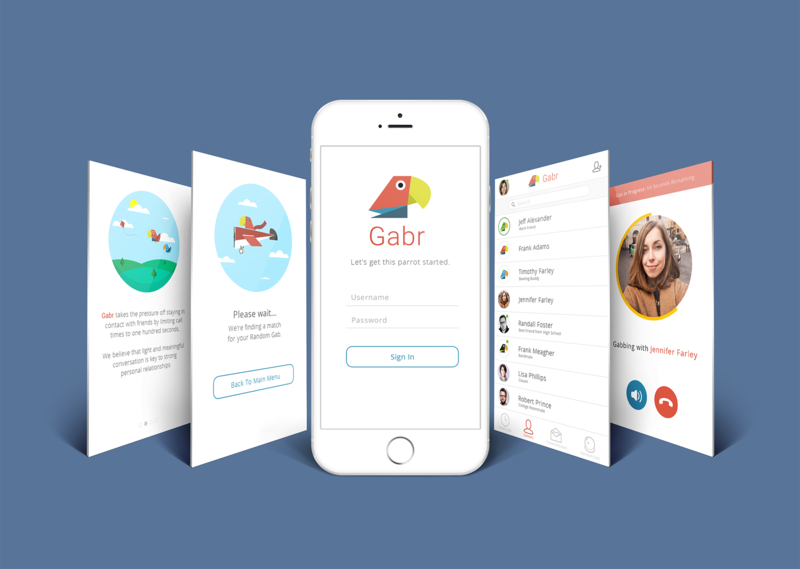 We personified the Gabr parrot early on in the design process, allowing users to represent their personality type by the parrot they chose for their profile (heavy metal, hipster, etc.). 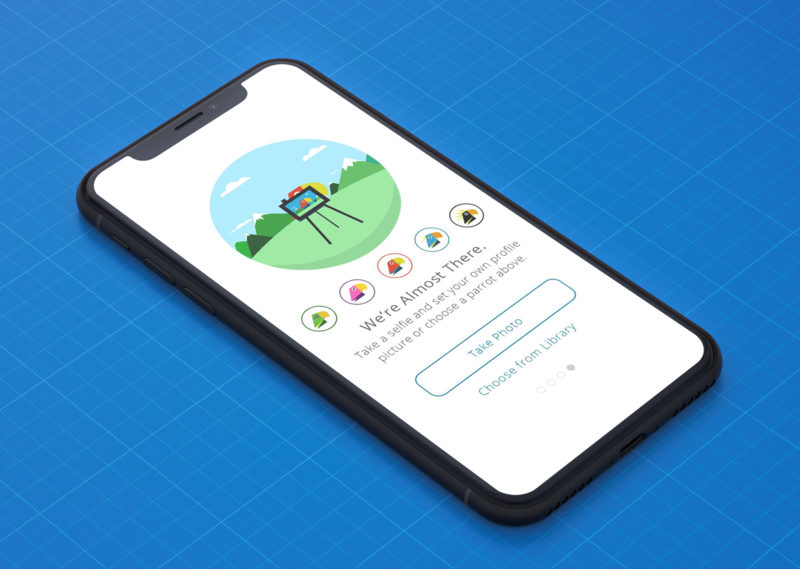 A simple architecture that divided choices by call history, contacts, notifications, and "Random Gabbing", which connects you to another user without being friends, proved simple to understand and allowed users to efficiently navigate to what they wanted to do. Overall, the team was very happy with the design and direction that I delivered to them. This job touched on marketing and branding just as much as the actual user experience design that I provided. Branding, personas, and user flows along with a clean, simple user experience were all delivered in a timely manner. The company still continues to use the original concepts that came out of my initial discoveries and designs to this day.